Give your patio a dose of beachy beauty with the Harbor Hibiscus Rug - 5 Ft. Round. 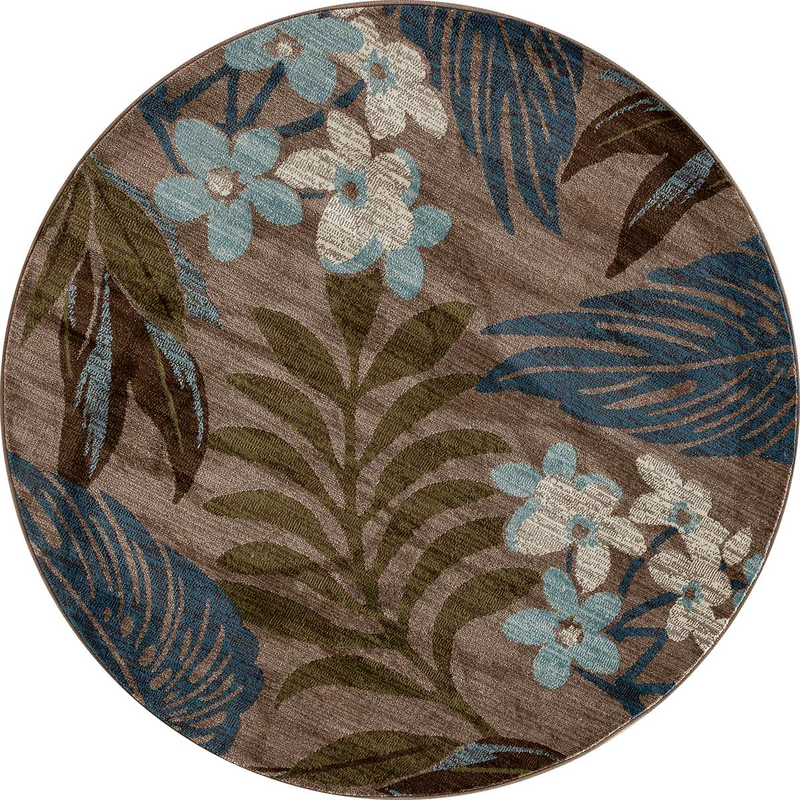 This area rug features a tropical paradise of palms and neutral florals.